This sculpture is part of Equilibre series that is characterized of furniture made of a structure in chromed metal tubes in which the wooden modules are set. Equilibre 1 provides the inclusion of two modules with wooden doors painted in blue and blue. 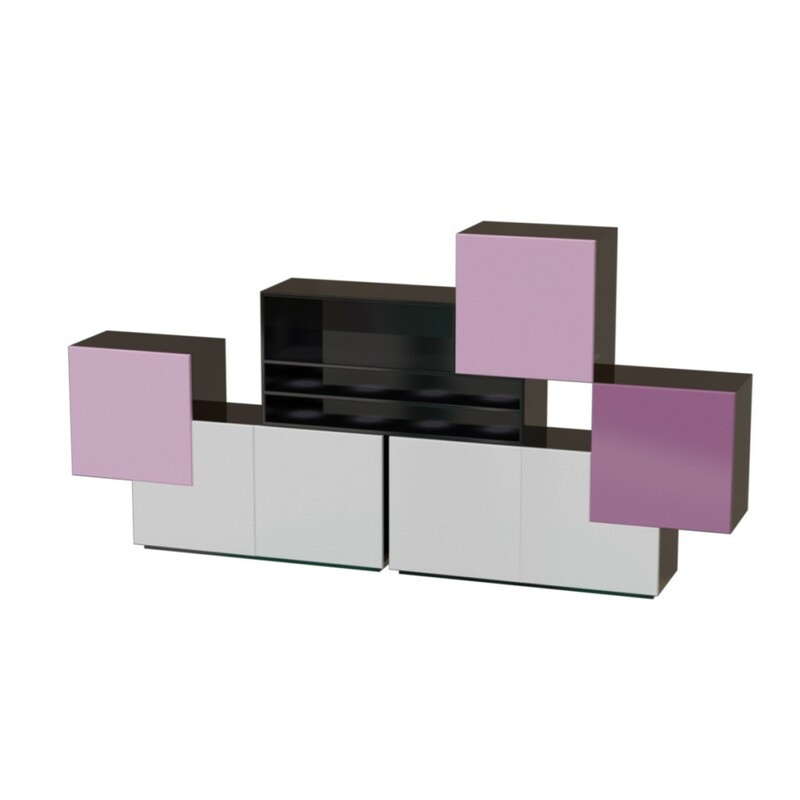 Thanks to the design and color brightness, this sculpture is perfect for decorating the living room. See the full bookcase series gallery.